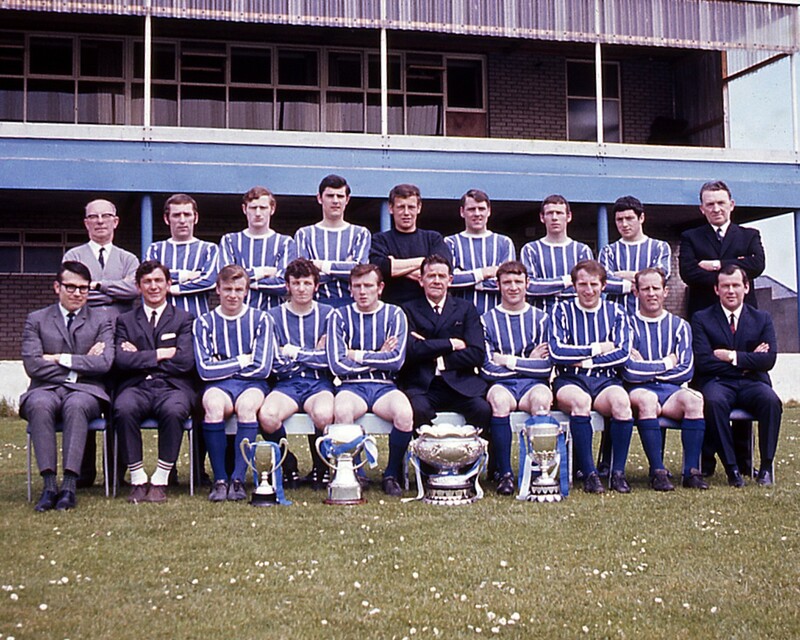 The summer of 1961 was to prove one of the most momentous in Coleraine’s history as following poor league finishes in the previous two seasons a new manager was appointed. Sensationally, Coleraine’s replacement for Kevin Doherty was Bertie Peacock, who had just left Celtic after 12 years and had rejected offers from clubs in England and Scotland to return to Northern Ireland and manage his hometown club. 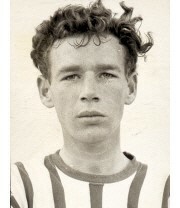 Peacock’s association with Coleraine had begun in the post-war years and he made his first team debut in 1947, but after a handful of appearances left to join Glentoran. In 1949, he joined Celtic where he would make 450 appearances and win every honour in the Scottish game. Perhaps his finest hour was captaining the team in a 7-1 League Cup final annihilation of arch-rivals Rangers in 1957. He also won 31 caps for Northern Ireland, appearing in the 1958 World Cup in Sweden and helping his country to reach the quarter-finals. To have Peacock on board as manager was a massive coup for Coleraine, but things didn’t improve straight away. 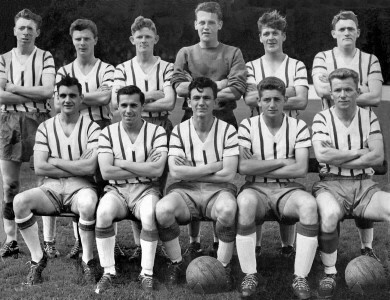 1961/62 saw Coleraine finish ninth in the Irish League and fail to make an impact in any of the cup competitions. It was notable for one thing however. On the suggestion of the new manager, the blue and white hooped shirts which had been the club colours throughout the post-war years were replaced with new blue and white striped shirts. 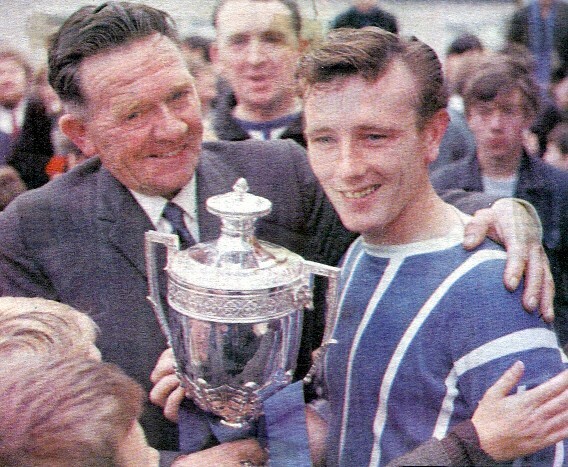 1962/63 saw Coleraine improve their league finish to seventh, comfortably in mid-table, but they missed out on the chance to win Peacock his first trophy, going down 1-0 to Glenavon in the final of the Ulster Cup. However, the following season demonstrated how far Coleraine had come in just a few years under Peacock’s management. Young players such as Ivan Murray and Shaun Dunlop, who had made their debuts in the previous campaign, were now established as key members of the side. 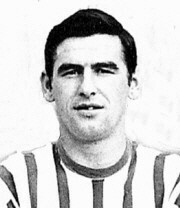 Victor Hunter’s younger brother, Allan, showed in a few appearances that he was a centre half of some promise, while there was a changing of the guard up front as Fay Coyle returned to Derry City and in his place came Ken Halliday, a powerful Newry-born centre forward, who quickly became club captain. Despite a disappointing showing in the cup competitions, Coleraine made a flying start to the league campaign, quickly climbing to the top of the table with a nine game unbeaten start. Despite two defeats against Linfield, they remained in pole position and thanks to wins over Bangor (after a replay) and Portadown in the Irish Cup, they went into their first semi-final in 13 years, against Glentoran on March 21 1964, with a realistic chance of doing the league and cup double. Unfortunately, they lost out to Glentoran in the semi-final and ultimately would miss out on the title to the East Belfast men by a single point. A 0-0 draw against them at The Oval, following a 1-0 defeat to Derry at the Brandywell in the run-in, proved costly but Coleraine could still look back on what was their best season for some time. Spurred on by the disappointment of the previous campaign, Coleraine continued to strengthen their side in the 1964/65 season. 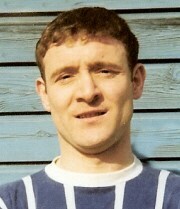 Tommy Kinsella, who had joined towards the end of the previous season, had fully settled in and was showing his best form, while in September, Bertie Peacock brought Tony Curley to the club from Glentoran. 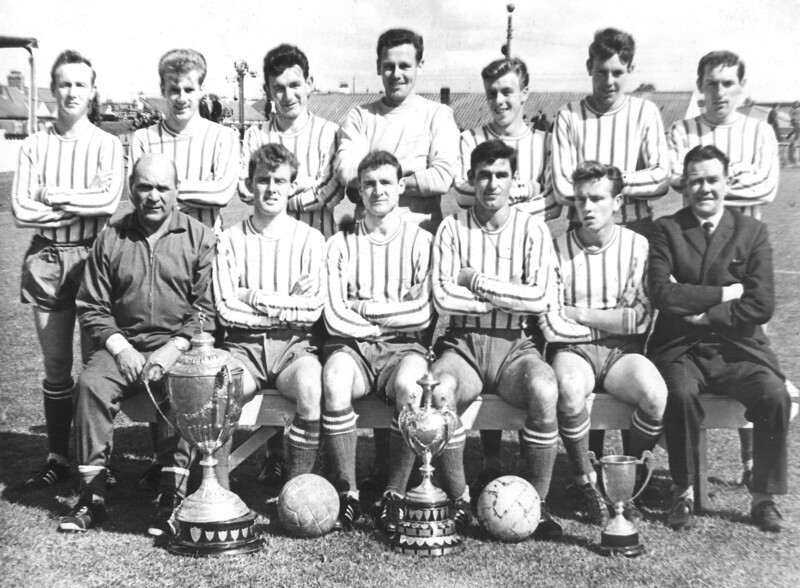 Key players in Bertie Peacock’s first great Coleraine side: (Left to Right) Ken Halliday, Johnny McCurdy, Shaun Dunlop, Tony Curley, Ivan Murray. This time Coleraine made a poor start in the league, losing three of their opening six matches, but after that put together a five match unbeaten run before two more defeats, against Crusaders and title rivals Derry City left them with a mountain to climb in the league. Despite this, they gave it their best shot, winning eight and drawing two of their final ten games, ultimately finishing five points behind Derry. Their great form in the second half of the season enabled them to embark on another Irish Cup run. They won 3-1 at Ballymena in the first round, thanks to an own goal and further strikes from Ken Halliday and Derek Irwin. Curley scored the only goal as they beat Crusaders at Seaview in the second round – a spectacular overhead kick, and then a last-minute goal from Allan Hunter (left) edged out Glentoran in a repeat of the previous year’s semi-final to put Coleraine into the final for the first time in 12 years. On April 24, Coleraine walked out at Windsor Park alongside Glenavon for the third Irish Cup final in their history. Coleraine started as slight favourites due to their impressive form going into the final and Shaun Dunlop looked to have set them on the way to victory with the opening goal. Billy Johnston levelled for the Lurgan Blues but Coleraine weren’t to be denied and Derek Irwin wrote his name into the history books as the man whose goal brought the Irish Cup to Coleraine for the first time. 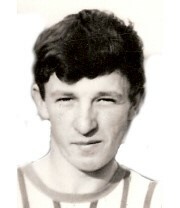 Tony Curley made his own bit of history that day, by becoming the first man to appear in three successive Irish Cup finals, with three different teams. After defeats with Distillery and Glentoran, it was third time lucky for Tony as he finally got his hands on a winners’ medal. He also added a League runners-up medal to the two winners’ medals he won in the previous season. A fortnight after the final, Coleraine hosted Derry City in the North West Cup final, a game given special significance as it pitted the cup holders against the league champions. Two goals from Ken Halliday settled the game in Coleraine’s favour and earned them some revenge for missing out on the league title. The game saw a record ‘gate’ at The Showgrounds, not bettered until Tottenham Hotspur played there in 1982. The Irish Cup win earned Coleraine their first-ever European qualification, in the Cup Winners’ Cup, and their reward was a tie against Dynamo Kiev. It was the first time a club side from the Soviet Union had ever played in Northern Ireland and Coleraine became the first British side to cross the Iron Curtain and play in the USSR. Not entirely unexpectedly, the crack Soviet side proved too strong for the Bannsiders, the final aggregate score being 10-1 in their favour. 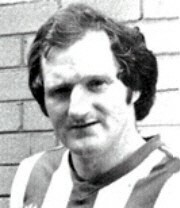 Tony Curley did achieve the distinction of scoring Coleraine’s first European goal in the 6-1 defeat at The Showgrounds. Around these European engagements, Coleraine were playing their Ulster Cup games. Now played in a round-robin format, Coleraine travelled to face Linfield at Windsor Park in the final game, needing a win to take the trophy, while their opponents only needed a draw. 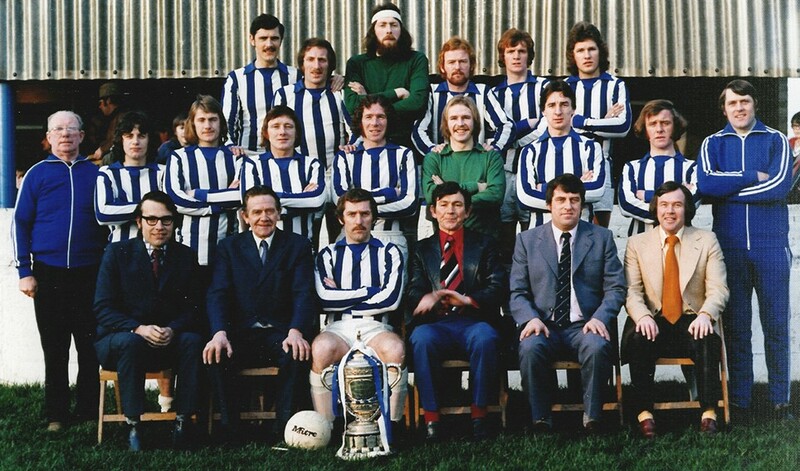 Coleraine fielded their strongest team; the 11 players who had lifted the Irish Cup at the national stadium five months earlier and once again were victorious. The final score was 4-2, with two goals from Halliday and one apiece from Dunlop and Irwin securing a first-ever Ulster Cup for Coleraine. But that was as good as it got for Coleraine in the 1965/66 season. Although they were among the favourites to lift the league title, too many dropped points in November and December made lifting a first title almost impossible and they ended up finishing sixth, nine points behind eventual champions Linfield. Their defence of the Irish Cup ended at the semi-final stage with a 5-0 replay defeat to Glentoran. On the playing front, that season saw the arrival from Portadown of Brian Jennings (far left), older brother of Northern Ireland goalkeeper Pat, who competed with Irwin for the left wing berth. Ray Gaston left to join Wolves before the season started, but couldn’t settle and returned to Coleraine in December. Tony O’Doherty (near left), a versatile defender from Londonderry, made his first team breakthrough, as did a young centre forward named Des Dickson, who started the first game of the season against Bangor and marked the occasion with a goal. Goalscoring honours that season went to Ken Halliday who netted a phenomenal 50 times in 53 appearances, a tally which included six hat-tricks. However, it wasn’t such a good season for Victor Hunter, who suffered a severe leg break in a drawn Irish Cup tie at Ballymena. It was initially feared that he would never play again, but within a year, he was back in the number one jersey. 1966/67 started with Coleraine failing in their bid to retain the Ulster Cup, despite winning their first six matches, going on to suffer four defeats in the final five games. They reached the Gold Cup semi-finals but were heavily defeated by Glentoran and lost out in the second round of the Irish Cup. 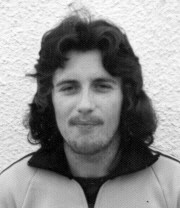 During the season, Allan Hunter was transferred to Oldham, there was cross-channel interest in both Ivan Murray and Ray Gaston, while there was some player unrest as Alan Campbell and Ken Halliday both requested transfers after losing their places. Victor Hunter made a welcome return to action in an Irish Cup tie at Ards which descended into farce during the second half when five players, including Coleraine’s Johnny McCurdy, Brian Jennings and Davy Gordon had to go off suffering from exposure. Hunter too was struggling, but gamely played on until the game was abandoned. A fourth place finish in the league, earned Coleraine a place in the season-ending Top Four Trophy and they reached the final, defeating Derry City in the semi-final, before going down to Linfield in the decider. However, they did pick up some silverware to end the season by defeating Derry to lift the North West Cup. It was a similar story the following season, as Coleraine again failed to lift any significant silverware, having to make do with a North West Cup victory at the season’s end, Des Dickson scoring a fine goal to settle a replayed final. This was the season which saw one of the most memorable matches The Showgrounds has ever hosted, as Coleraine and Linfield shared 10 goals in a 5-5 draw, a result which was made all the more impressive when you consider that Coleraine lost main forward Ray Gaston to injury during the game and trailed 4-1 at one stage. Their hopes of success took another blow in February when English First Division side Fulham signed both Ivan Murray and up-and-coming striker Brendan Mullan for a combined fee of £14,000. Still with Gaston, Halliday and Dickson, Peacock wasn’t short of striking options. Coleraine eventually finished the league campaign only two points behind champions Glentoran, having defeated them 1-0 in their final game at The Showgrounds. Again, their league finish earned them a place in the Top Four trophy, but in a case of history repeating itself, Linfield took the honours in the final. The next two seasons would go down among the most memorable in the club’s history, although the early omens hadn’t looked good when several players, including Halliday, Dickson, Dunlop and Campbell, refused to re-sign for the club in pre-season. Eventually all the ‘rebels’ signed on again, bar Halliday, whose time at the club came to an end in August when he moved to Dublin club St Patrick’s Athletic. Gaston’s form once again attracted interest from English clubs and shortly after the completion of the Ulster Cup campaign, he was transferred to Oxford United. His goals were missed as Coleraine dropped a lot of points early on in the league, which effectively cost them a tilt at the title. But despite this and an Irish Cup semi-final defeat at the hands of Ards, there was to be a glorious end to the season. Their fourth place finish in the league earned them another tilt at the Top Four Trophy and it was to prove third time lucky, as Derry were demolished 5-0 in the semi-final before Tony Curley’s strike settled the final against Linfield in their favour. Coleraine also picked up the City Cup for only the second time with an excellent record of eight wins, two defeats and a draw in their 11 matches, finishing off with a 4-0 win over Crusaders at Seaview. But the real high point of the season came in the All-Ireland Blaxnit Cup, Coleraine’s first venture into cross-border competition. Des Dickson and Sammy Wilson both scored twice in a 4-0 win over Cork Celtic in the quarter-final and Wilson and Shaun Dunlop booked a final place for Coleraine with the goals in a 2-1 win over Limerick in the semi-final. Their opponents in the final were the cup holders Shamrock Rovers, who were strong favourites as they were widely regarded as the best side in the island at the time. However, Coleraine got their noses in front with a 2-1 win in the first leg of the final, played at Windsor Park. Tony Curley opened the scoring before Brian Jennings scored an outstanding second, but Rovers pulled one back and most observers thought they could turn around the deficit in Dublin. The two teams met again 10 days later at Dalymount Park and Rovers wasted no time in applying pressure on Coleraine’s narrow lead and soon overturned it with two goals of their own. With 12 minutes remaining, things looked bleak for Coleraine, but against the run of play they levelled the aggregate scores through Johnny McCurdy. Then Dickson picked up the ball inside his own half, carried it forward and played a one-two with Curley before lobbing the ball over the Rovers keeper and into the net for the goal which won the cup for Coleraine. It was a fantastic occasion and a fitting end to the career of Bertie Peacock, who had earlier announced that he would be retiring from playing at the end of the season. 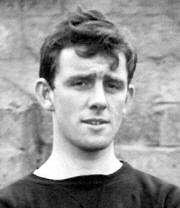 The task of replacing the legendary player/manager in the line-up fell to Ivan Murray, who returned to The Showgrounds in the summer of 1969, having been released by Fulham. With a settled line-up and the forwards in terrific form there was no stopping Coleraine in the Ulster Cup at the start of the 1969/70 season. They retained their title without any problems, only dropping one point in a draw against Bangor in their opening game. The defence of the City Cup went less well, with Coleraine failing to make it out of their group, a draw and a defeat against Glentoran and Crusaders respectively proving costly. They were however, back in Europe for the first time in four years, playing in the Inter-Cities Fairs Cup (the precursor of the modern-day UEFA Cup/Europa League) against Jeunesse Esch of Luxembourg. Despite a 3-2 defeat in the away leg, goals from Curley (becoming the first Coleraine player to score away in Europe, just as he had been the first to net at home) and Murray gave Coleraine a good chance of overturning their deficit in the second leg. This was achieved in style, a 4-0 win with goals from Wilson, Dickson (2) and Brian Jennings booking a glamour tie with Belgian side Anderlecht in the second round. The two legs against Anderlecht were played in November and ended in heavy defeats for Coleraine; 6-1 away and then 7-3 at home, although it had been 7-0 until a brave fightback, with Dickson scoring twice and Derek Irwin getting one, added a bit more respectability to the scoreline. Away from these European ties, Coleraine were busy trying to add to their impressive recent haul of domestic silverware. Cliftonville were defeated 6-3 in the first round of the Gold Cup and second round opponents Portadown were also hit for six in a second replay at a neutral ground after the home and away games had both produced draws. A further boost for Coleraine came as Brendan Mullan returned from Fulham in November. 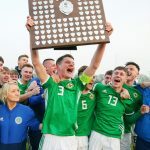 He wasted no time in making an impact, scoring twice to help defeat Linfield on his debut and then getting another brace as Ballymena were defeated 3-1 in the Gold Cup semi-final. His strike partner, the prolific Dickson, got the other goal. The final, on December 9, pitted Coleraine against Glentoran and one goal proved enough to decide the game. This time it was Brian Jennings who was the hero, his goal bringing the Gold Cup back to Coleraine for the first time in 11 years. 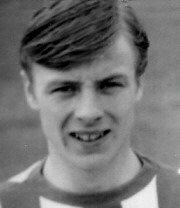 The career of one Showgrounds stalwart came to an end in January 1970 as Victor Hunter called time on his playing career after 13 years at Coleraine. His understudy for the previous couple of seasons, Eddie Crossan, who had played in the Gold Cup final, stepped up to take the number one jersey while Hunter became club trainer. A strong finish to the league helped Coleraine finish second in the league again, but there was disappointment as they went down to a 2-0 defeat against Ballymena in the Irish Cup semi-final. However, the Blaxnit Cup once again ensured that interest was prolonged after the league season had finished. Dundalk were first up in the quarter-final at The Showgrounds and goals from Mullan and Dickson booked passage to the semi-finals, where Coleraine were handed a trip to Cork to face Cork Hibernian, who had eliminated Linfield in the quarter finals. The home side took an early lead and kept Coleraine at bay until the 83rd minute when Dickson equalised from O’Doherty’s cross. Dickson was fouled minutes later and Mullan converted the penalty to book a second successive final appearance. Once again the first leg of the final was at Windsor Park, but Coleraine failed to take an advantage from their ‘home’ tie. Instead it was their opponents, Sligo Rovers, who emerged with a 1-0 lead, thanks to a late goal against the run of play. Coleraine travelled to Dalymount Park for the return leg knowing that only a two goal win would see them retain the trophy, but it would mean breaking down a Sligo defence which hadn’t conceded a goal in the competition so far. They continued to frustrate Coleraine until the 53rd minute of the second leg until Dickson made the breakthrough. Then in a devastating 16 minutes spell Coleraine put the result beyond doubt. Dickson completed his hat-trick with two further strikes and Mullan added a fourth from the penalty spot. Sligo’s late goal was little more than a consolation and Coleraine became the first club to retain the Blaxnit Cup. A victory over Derry in the two-legged North West Cup final brought the curtain down on another outstanding season for Coleraine. 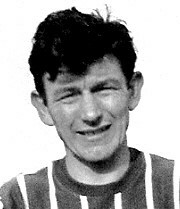 The star man was Des Dickson, whose first full season in the first team brought an outstanding 55 goals, the Irish League Golden Boot and the NI Football Writers’ Player of the Year award. 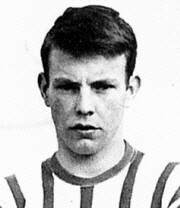 In his earlier days Dickson had flitted in and out of the team as he suffered problems with his vision. However, once he started wearing contact lenses, his effectiveness improved greatly and he became one of the most feared forwards in the Irish League. After two years of such success, the 1970/71 season came as something of a disappointment. Early in the season, they relinquished their grip on the Ulster Cup and Gold Cup, but once again the Fairs Cup provided plenty of drama, with a draw against Scottish side Kilmarnock. A 1-1 draw in the home leg, Mullan scoring for Coleraine, was a creditable result, but one which seemed to have ended Coleraine’s chances of progressing. Still, the team travelled to Scotland at the end of September on the back of a couple of good results in domestic competition and backed by a very large travelling support. Things weren’t looking good for Coleraine after 22 minutes of the return leg as a strong start by their hosts gave them a 2-0 lead. However, Coleraine weathered the storm and made it to the break without further loss and at half time, an inspirational team talk from Bertie Peacock paved the way for a sensational comeback. Three minutes after the break Dickson converted McCurdy’s pass to halve the deficit. Then four minutes later he headed in Shaun Dunlop’s cross to level the scores and put Coleraine ahead on the away goals rule. But he wasn’t finished yet; on the hour mark he completed his hat-trick, driving the ball past the Kilmarnock ‘keeper from Mullan’s flick on. All the while, Dickson had been suffering from discomfort with one of his contact lenses and after the third goal had to leave the pitch temporarily to replace it. Coleraine held on to record one of the greatest results by an Irish League club in European competition, and on Bertie Peacock’s 42nd birthday as well. They weren’t destined to go any further, Sparta Rotterdam ending their participation in the next round, but the eventual 4-1 aggregate defeat was more than credible. Back on the domestic front, the pursuit of major honours was destined to end in disappointment. Inconsistency cost Coleraine their title challenge, eventually ending up fourth, well behind the pace set by Linfield, while they again fell just short in the Irish Cup. 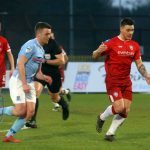 After defeating Portadown and Ballymena in the first two rounds, they came unstuck against Distillery in a replayed semi-final, robbing them of the chance to take on Derry City in an all-North West final. There was no joy in the Blaxnit Cup either, despite the incentive of being awarded the trophy permanently if they won it a third time in succession. After getting past Limerick in the quarter-finals at home, Cork Hibernian gained revenge for their semi-final defeat the previous year by ending Coleraine’s defence of the trophy in front of a 15,000 strong crowd in Cork. Unable to mount a serious challenge in the Ulster Cup and City Cup, inconsistency again dogged Coleraine’s league campaign and they would end up sixth, but they saved their best that season for the Irish Cup. Fortune smiled on them in the first round as they were drawn away to Distillery, but the game was switched to The Showgrounds. Distillery had been forced to vacate Grosvenor Park because of the increasing civil unrest, and were playing at Seaview that season. But, with Crusaders also at home, the tie was reversed. Coleraine made the most of their good fortune, exacting revenge for their semi-final defeat the previous year with a 7-1 win. Dickson scored four, Mullan, Jennings and Tom Smyth grabbing the others. The second round draw pitted Coleraine against champions elect at The Oval, where they dug deep to clinch a 3-2 win, with Dickson, Curley and Dunlop on the scoresheet. Ards were the opposition in the semi-final at Windsor Park and Tony Curley scored Coleraine’s goal in a 1-1 draw. The replay four days later was another tight affair, but Brian Jennings’ goal was enough to take Coleraine into the showpiece for the first time since the famous victory of 1965. Waiting for them there were Portadown, who would eventually finish second in the league that season, although Coleraine’s greater experience saw them named favourites by most pundits. The Ports enjoyed a lot of the play, but Coleraine went in front through a goal from Dickson, his 46th of the season. Trevor Anderson equalised for Portadown, but Coleraine weren’t to be denied as Dickson saw a shot blocked by the goalkeeper, only for the rebound to go straight to Ivan Murray, who nodded the ball in to clinch the cup for Coleraine. The cup win earned Coleraine a chance to regain the Blaxnit Cup, now played as a two-legged final between the two cup winners. Sadly home and away defeats to old foes Cork Hibernian ended that dream. There was a further blow to come that summer as UEFA effectively barred Coleraine and their fellow Irish League qualifiers from playing in Europe the following season. Teams were unwilling to travel to Northern Ireland because of the escalating ‘Troubles’ and thus both legs would have had to be played away from home, which would have proved financially impossible. Things didn’t look good at the start of the 1972/73 season, as Coleraine only picked up four points from their opening five Ulster Cup matches. But their response was superb; they won the next five, including a thrilling 4-3 win over Linfield to put themselves into contention for the trophy. Ultimately, it came down to the result of a game against Derry City, a game which remained un-played. Derry refused to play the tie at Coleraine, where they had been playing ‘home’ matches as a result of the security situation, which saw teams unwilling to travel to the Brandywell. Eventually Coleraine were awarded a walk-over and as a result, the cup. For Derry, the implications were severe and they soon withdrew from the Irish League completely. Coleraine lost out to Glentoran in the final of the City Cup, but all eyes were on the league that season. Many felt that the present squad was Coleraine’s best ever, certainly the one best-equipped to mount a challenge for the league title and their form in the first half of the league season seemed to support those claims. Of their first 11 league matches up until the end of February, they won nine, and had only one draw and one defeat. In addition they were well-placed to challenge for the double, having booked their semi-final spot in the Irish Cup with a win over Portadown. However, just as they looked to be on the verge of great success, disaster struck. In their next nine matches they suffered seven defeats, including the cup semi-final and found themselves slipping from a title challenge to scrapping for a top four finish, which would earn entry into the Texaco Cup. Wins over Cliftonville and Glentoran in their final two games helped Coleraine finish fourth, four points behind Crusaders who won their first ever league title. The following season didn’t start in the most promising manner, with the failure to retain the Ulster Cup and although Coleraine booked their place in the City Cup final, two defeats in their first four league matches didn’t bode well. Having lost Shaun Dunlop to Linfield at the start of September, Peacock delved into the transfer market for a replacement and finally got his man at the end of October. Terry Cochrane (right) had become marginalised at Windsor Park and welcomed the chance to kick-start his career again at The Showgrounds. Cochrane wasted no time in making a big impact and was seen by some as the final piece in the jigsaw for Peacock. After their poor start to the league campaign, Coleraine’s form picked up with an unbeaten Christmas period, although they did lose the City Cup final to Linfield on New Year’s Day on a penalty shootout after a 2-2 draw. But after that game they won six of their next seven games in league and cup, the sole draw coming against Linfield at home. A second round elimination from the Irish Cup at the hands of Glenavon was disappointing, but had the advantage of focusing all attention of the league title race. Coleraine won against Ballymena, Larne, Ards and Distillery to climb to the top of the table, but faced a challenging run-in with five away games in succession, including trips to reigning champions Crusaders and their chief title rivals Portadown. 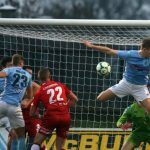 A defeat at Seaview and a win at Solitude meant that the destiny of the title would come down to the Easter Tuesday showdown at Shamrock Park. A draw was all Coleraine required to make history and they got what they needed. Ivan Murray scored in a 1-1 draw, which meant that with two games left, Coleraine could not be overtaken at the top and were Irish League Champions for the first time. Coleraine rounded off the season with two further wins as they celebrated finally getting their hands on the Gibson Cup. 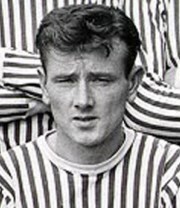 Adding to the celebratory mood at the club was the news that Ivan Murray had been named Player of the Year by the Football Writers, a worthy recipient given his contribution to the title win. But the club was rocked in its greatest hour when after the season’s conclusion, Bertie Peacock announced he would be standing down as manager. Having brought unprecedented success to The Showgrounds in his 13 years in charge, he would be a hard act to follow. The Holy Grail at last! 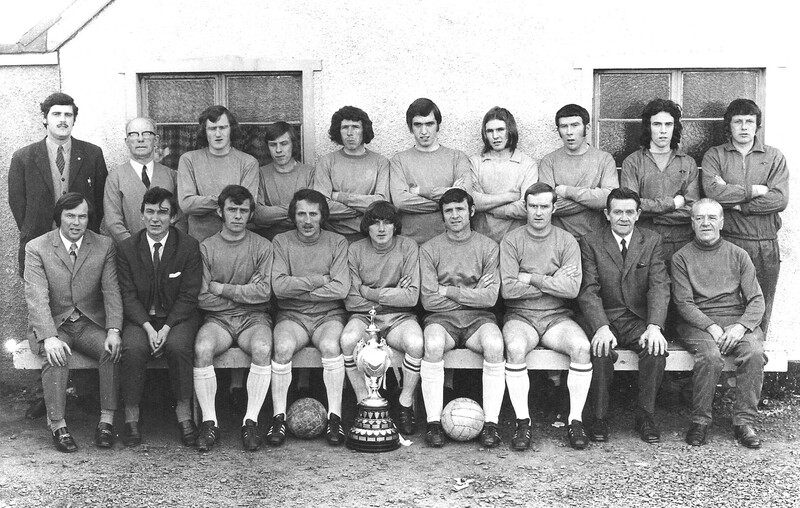 The Coleraine squad of 1973/74 with the Gibson Cup.